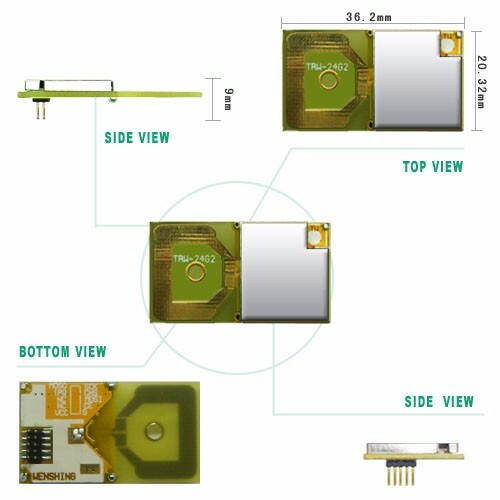 TRW-24G2 is wireless high-frequency RF module, using hopping skill, and has 128 Channel. It is effective to avoid interference, and easy to set and equip. Output power is up to 5dBm, Multi-transceiver, independent 3 sets TX/RX FIFO, and has multipoint receive and transmit ability.